Display your favorite photos with style! A gorgeous, unique way to display your favorite photos from your session in one special piece of art! Smaller canvases are mounted to a large wooden panel (which serves as a photographic background for your images). I'd love to discuss this option with you - this is my favorite type of collage! Display your photos in one themed print! 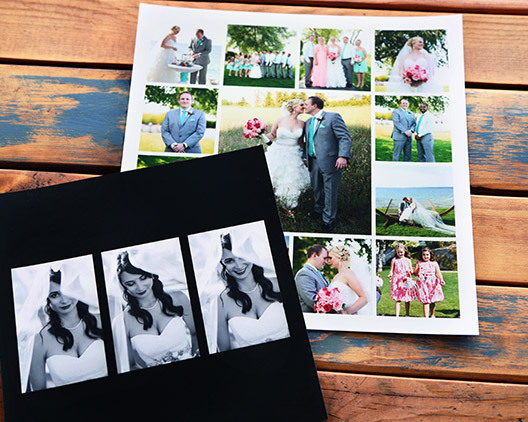 Finished Print accommodates 1-13 photos, depending on the collage size chosen. Mounting and texture can be added ad additional cost. Mounting, Framing & Texture are additional and vary by size.